Ride-hailing app Uber and homegrown Ola will now extend their rivalry to India's nascent bike taxi segment. The two companies have announced the launch of their respective app-based bike taxi hailing services, allowing users to connect with motorbike and scooter owners for rides in Bangalore. 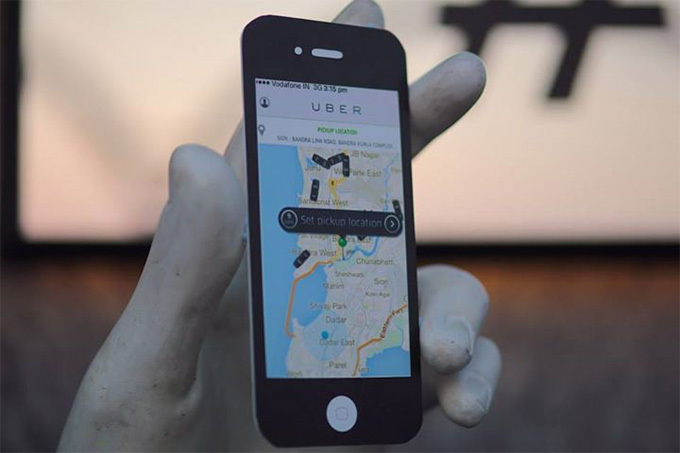 uberMoto, the offering from San Francisco-based Uber Technologies Inc, will be available for a minimum fare of Rs 15. The company will charge Rs 3 for every kilometer of usage and Re 1 for every minute of trip time. Bangalore is the second city to get this service globally after Uber launched it in Bangkok last month. "Enabling transportation at the push of a button, uberMOTO will offer another affordable mobility option that will help people save time and money while helping cut congestion in our cities over time," Amit Jain, president of Uber India, said in a statement. Besides the bike taxi service in Bangalore, Uber is making further inroads into Asia with the launch of its online taxi service UberGo in Lahore . Ola's bike taxi pilot begins at an introductory fare of Rs 2 per km and Re 1 per minute of trip time. The minimum fare payable will be Rs 30. "With bike taxis, we are enabling safe pillion rides for our users with trained two wheeler drivers at competitive fares. We expect significant demand in the pilot phase and we will continue to scale this service up in the coming weeks to cover more areas in the city and serve more users," said Pranay Jivrajka, chief operating officer at Ola, run by Mumbai-based ANI Technologies Pvt Ltd.
Additionally, all pillion riders will be provided with helmets, Ola said. Both uberMOTO and Ola's bike taxi offering will go live in Bangalore today. The bike taxi service has been integrated into the existing apps of these ride-hailing companies. The last two months have seen the emergence of a new segment in the crowded intra-city transport space â€“ bike taxis. After cab hailing apps, it is the turn of bike taxis to address last-mile connectivity issues in cities such as Gurgaon, Noida, Bangalore and Mumbai. By venturing into the business of aggregating bike taxis, Uber and Ola have put their smaller rivals on notice. Tech-enabled startups such as Baxi, M-Taxi, Bikxie, N.O.W, Hey Taxi and Hey Bob are the earliest players in this space . In November 2015, M-Taxi raised angel investment from HNIs Mandeep Singh and Jairaj Singh and Baxi raised Rs 10 crore ($1.4 million) in seed funding from a clutch of HNIs. In January this year, N.O.W and Bikxie raised seed investment from Maple Capital Advisors and HNIs, respectively. Hey Bob raised an undisclosed amount in seed funding in January 2016. The biggest pain point these startups face is the regulatory hurdle. While the Haryana government has given the go-ahead for bike taxis to operate, the governments of Karnataka and Maharashtra are yet to issue contract carriage permits for bikes, which is what is issued to auto rickshaws. Despite this, Hey Taxi and Hey Bob are able to offer their services in Bangalore and Mumbai. Instead of a full-fledged taxi service, Hey Taxi offers a courier and a passenger service through a ridesharing model. Hey Bob has applied for a licence and is working in tandem with the state government to get the service rolling in Bangalore. With Uber and Ola entering the fray, it remains to be seen whether the authorities will ease the regulations surrounding bike taxis. Bike taxis are not a new concept in India. Goa was the first state to institute bikes as a taxi service due to tourism. The Goa Motorcycle Taxi Riders Association (GMTRA) was set up in 1981 to allow drivers, referred to as pilots, to ferry around passengers on their bikes for a fee. However, today, the service is dying out in the state as people prefer renting out bikes. While bike taxis are still a burgeoning concept in India, the service is already available in countries such as Nigeria, Cameroon, Indonesia, Thailand, Cambodia, China, Vietnam, the Philippines and Brazil.